Have you gone wheat-free for a week after reading this article? Tell us how you feel ! Do you want to know how to lose weight? Then read the whole article and you might find the beste solution ever! Imagine if wheat were to audition for American Idol, while Randy and Paula might judge it on its health and cooking benefits, Simon might say, “Sorry, it made me sick.” For once, though, Simon’s harsh words might be more candid than nasty. Lately, it seems everybody’s voting wheat off their plates, as they once did sugar, dairy products, and fats. How to lose weight or how to mantain yourself healthy? If you have a wheat sensitivity, your body’s attempt to digest it can produce a wide array of nagging complaints. Maybe you can relate: water retention, bloating, reflux, itching, headaches, fatigue, depression, sleeping problems, osteoporosis, and sinus congestion. Emotional symptoms related to PMS, and yeast infections (wheat is leavened with yeast), may also be wheat related. Being wheat sensitive or intolerant, however, is not the same as being allergic to wheat. True allergies trigger the immune system and can be life threatening. Although the FDA lists wheat as one of the eight most common food allergens, it also says that only 1.5 percent of the American population has a true food allergy. But intolerances appear to be much more common; it may be worth a simple test to see whether wheat affects you. So give it up. But just for a week. According to many nutritionists, 7 to 10 wheat-free days is enough time to see whether its absence has a positive or negative affect. (A true elimination diet, however, lasts longer and should be medically supervised.) By the end of the week, you’ll know whether your digestion or energy level is different, yet the duration will be brief enough that you won’t have to worry about radically overhauling your diet to compensate for lost nutrients. Keep in mind that this is a casual experiment, not a scientific study. If at the end of the week you suspect you have a wheat intolerance, it’s only a signal to investigate further. Any doctor will tell you not to diagnose yourself. Although nutritionists report, for example, that abdominal bloating and colitis are common reasons people say they’re giving up wheat, these symptoms may also have many other causes. Also, wheat contains fiber, protein, and many of the recommended daily B vitamins and essential nutrients, so forgoing it long-term requires some serious diet planning. Pick your week. Choose a time that will be easy. Try to avoid holidays, birthdays, etc. Keep a journal. Write down how you feel each day. Eat enough. Keep your calorie intake up so you don’t feel low-blood-sugar fatigue or hunger pangs. You can still eat carbohydrates: other cereal grains, potatoes, fruits and vegetables, or any of the wheat-free convenience products presented here—all of which passed our taste test. (If you think you’re gluten-sensitive, read labels carefully.) Consider taking a multivitamin to help with nutrition. Cross-check. After the week is over, as long as you don’t suspect a wheat allergy, reintroduce wheat in a pure form first (e.g., cream of wheat or wheat germ) to see if there’s a difference. Share your story. At the end of your experiment, send us an email and tell us how you feel! Finding wheat- and gluten-free convenience food is getting easier. We taste tested and high-fived the following products. For years Natasha Khandekar, a research artist in paintings at Boston’s Museum of Fine Arts, had severe stomach pains that no medicine or doctor could make go away. Doubting the hospital’s diagnosis, Khandekar’s family doctor decided to do a complete blood workup on her. “He told me my celiac blood count was off the charts, and that I most likely had celiac sprue disease,” says Khandekar. Celiac sprue, he explained, is a genetic disorder that’s more commonly known as celiac disease or CD. In people with CD, eating gluten, a protein found in wheat, barley, rye, and to a lesser extent, oats, sets off an autoimmune response that damages the small intestine, causing it to lose its ability to absorb nutrients from food. Of all the cereal grains, wheat contains the highest levels of gluten; it allows bread dough to bind and rise. CD can lead to malnutrition and a variety of other complications, including stomach cancer. Some scientists estimate that as many as 1 in 133 adult Americans have the disease but don’t know it, since it’s so often misdiagnosed. “Celiac is the most common genetically transmitted disease, but it’s also the most misunderstood,” says Cynthia Rudert, M.D., an Atlanta-based physician who treats CD sufferers. Those who have celiac disease can be adversely affected by as little as 0.1 gram or 1/48 of a slice of whole-wheat bread. If you think you might have CD, or have been diagnosed with it, log on to csaceliacs.org. The site includes a list of 99 gluten-free grains and flours. With so many options, why be a gluten for punishment? There are hidden ingredients in foods and beverages. Check csaceliacs.org for what you can eat. Call ahead to restaurants and speak to the chef. This will prevent embarrassing situations—and stomach pains. Don’t be afraid to ask for what you need. Having CD offers a great lesson in assertiveness. When you book your airline ticket, order a gluten-free meal. Most airlines accommodate this request. When traveling abroad, learn how to say “gluten-free” in different languages. 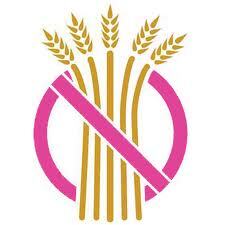 Celiac disease is very common in Europe.